If you are anything like me you like the idea of making a single cup of coffee at a time but you dont like the idea of resorting to Keurig-style coffee makers. Enter the tiny, single serve french press. The first french press I ever bought was a middle sized 34-ounce french press by Bodum. It worked fine but as I started making smaller and smaller batches of coffee, sometimes a single cup a few times per day the bigger coffee press proved to be too big and annoying to use. These days I cling to my single serve Espro Press and haven’t really used my old Bodum in a long while. Espro coffee presses are just about the best french presses sold today but there are actually a few single cup french press coffee makers that are even smaller. If you want a really great french press for one person then check out the list below where I’ve outlined and reviewed some of your best options. You can also click here to see some of the best french press travel mugs, perfect for one person. When I originally started researching this topic I didn’t expect there would be so many different brands making single serving press pots… and even if there were a number of them surely they wouldn’t be too confusing or anything. When I actually looked into the subject though I found out that there were a dizzying number of options. Even I was confused at first, but then I studied closer and now I’m here to finally help you. Here are our favorites – surely you’ll find one that fits your needs and budget. Okay, so let’s get started, now. The Frieling USA Double Wall Stainless Steel French Press Coffee Maker is, by far, one of the main models in the foreground. Not only is this model made of great, quality material, but it also has a great dual screen, making it both more functional and more durable. At the same time, it’s also worth noticing that this model has a capacity of 8 ounces. 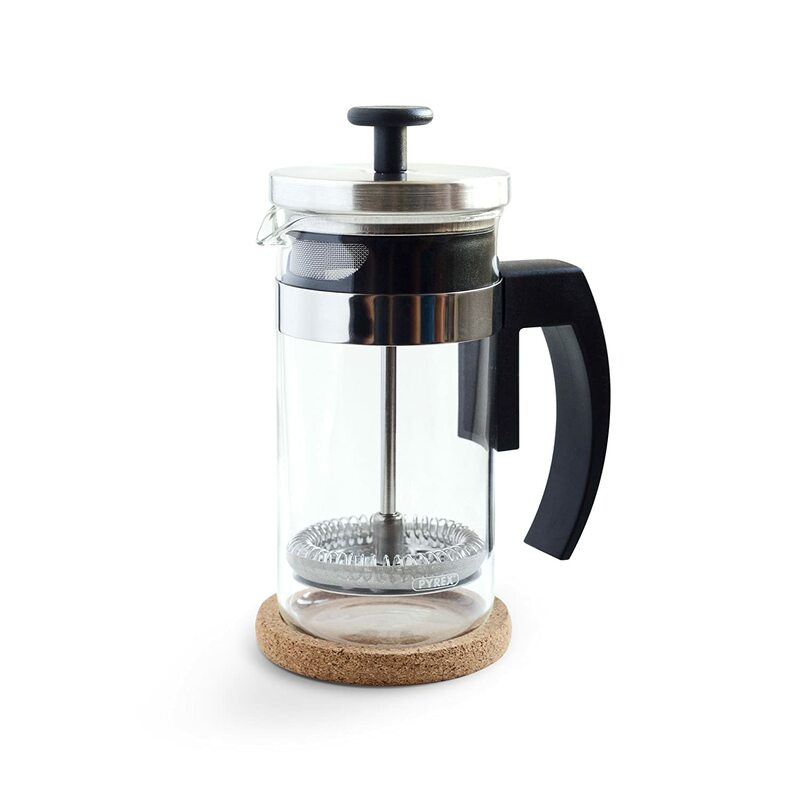 So if you’re looking for a 8 oz French press, this might be your first choice. Now the Brillante Small French Press Coffee Maker is truly brilliant! 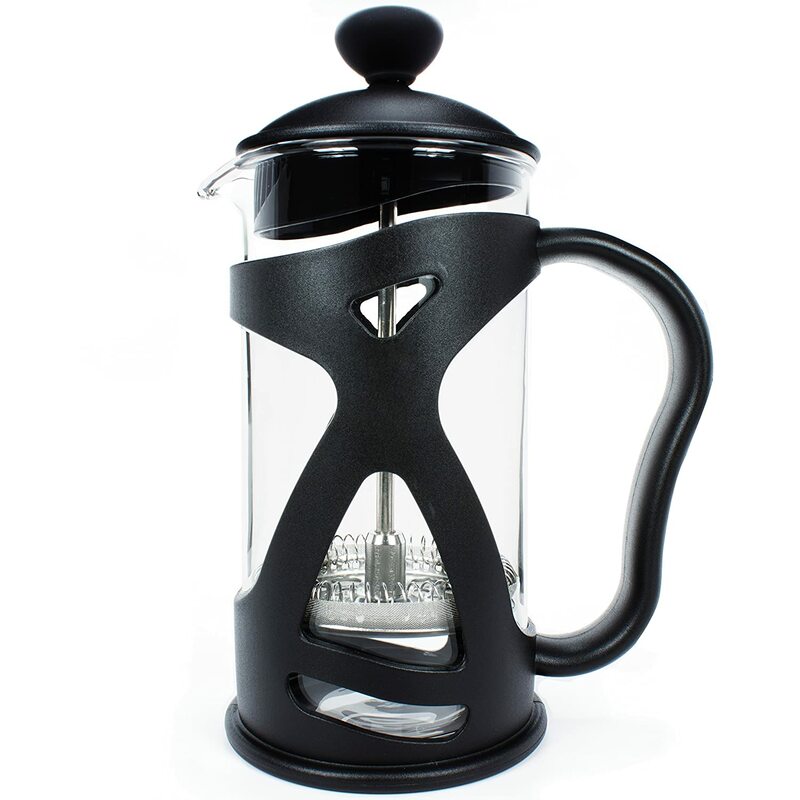 It is one of those single serve French press makers which are known, not only for functionality and utility, but also for looks. I have to agree, this does an excellent job at combining aesthetic and functionality! So, it hasn’t compromised on anything and this model is a proud 12 oz French press that you simply must check out if you’re looking for a machine to make small servings or even a single serving with. This machine is certainly worth a look. Okay, when I said single serve French press, I didn’t LITERALLY mean a 1 cup French press. I meant smaller ones that let you prepare coffee in smaller quantities. So, I’m going to add this model into that list, even though it can make about 3 cups of French press coffee at once. 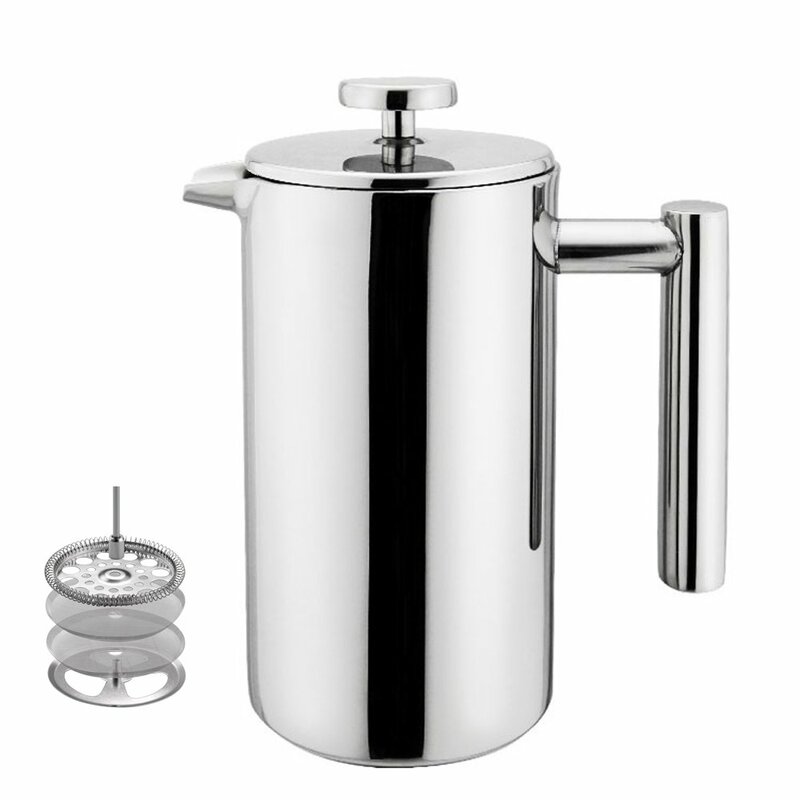 The Highwin Small Stainless Steel French Press is well known for its beauty. It is said to enhance the look of any kitchen with its shine. And guess what? It has a reputation for being highly durable, as well. It’s just one of those models where you can’t make a wrong decision. 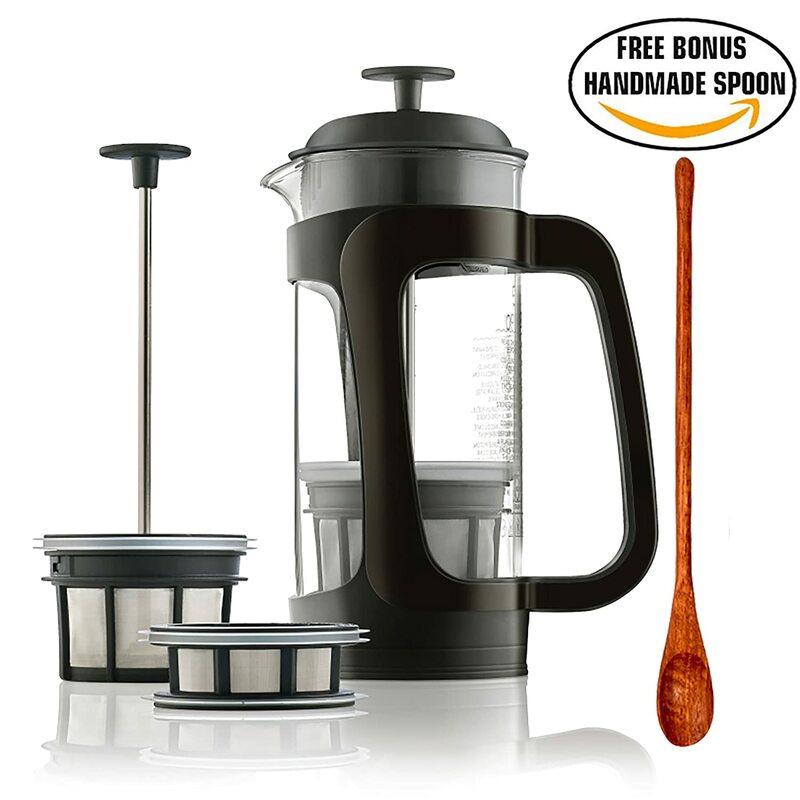 Espro is one of the most well known companies when it comes to making French presses. In fact, if not for our current size requirement, the model, here, would be at the top of the list. However, even though this is one of the higher sizes of the models presented here, it is still a highly recommended model by almost all those who have used it. If you aren’t aware, Espro models are loved for having dual filter. This keeps the sediment out of your coffee and keeps it delicious for you. This model has a capacity of 18 oz, which is pretty decent for a small sized coffee maker. A great choice, honestly. The Kona French press is also a much loved model. As is obvious from it’s very name, people have found alternate uses for it already. You can make coffee as well as tea with this model, without having any difficulty or difference in taste. I believe that’s enough to prove how versatile this model really is. Of note is the 12 ounce capacity of this model. 12 oz French press models are usually treated as the ideal sized models by many, because they are the best fit for making small amounts of French press coffee and that gives one more reason this model is held in high regard! 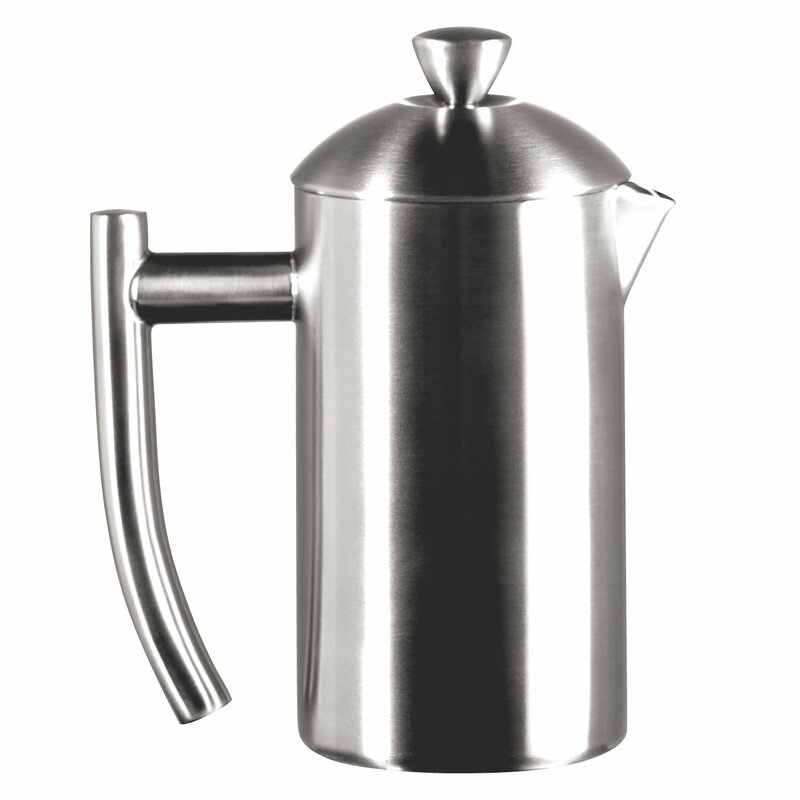 Finally, we come to the Bodum Columbia 12-Ounce Stainless Steel Thermal Coffee Press Pot. Who knew that the smallest Bodum French press model would be a 12 oz French press? Oh well, turns out that they have still equipped it with quite a lot of features. To begin with, it has a beautiful stainless steel body. This would make any prospective buyer even more interested. On top of that, it’s also a thermal model that’s great at holding in the heat. No wonder it’s one of those models everyone simply loves! Come on now, let’s be honest, who wouldn’t love this model? Now, you might be wondering what we brought into account while making this list. Of course, as a reader here on Gamble Bay Coffee, we think it’s your right to know and my duty, as your host, to make you aware about what we have considered. Please keep in mind that you’re free to contact us to tell us if we should consider anything else as well- we’re open to suggestions! The first thing we’ve compared is that they indeed are French press coffee makers, because otherwise this would be a very poor list of French presses. So, that is one of the things we had to keep in mind and ensure from the very beginning. Next, we had to consider the capacity of every model. Since this post is about the smallest models that are available, we had to keep that in mind too. We couldn’t simply list just any model, no matter how recommended. We had to find out small sized models that were loved. After that, we considered other important features, such as the double filter from the Espro model. These are those things that require consideration. In fact, most of the people tend to keep these in mind when making a purchase so leaving them out isn’t an option at all. Then we considered the aesthetic aspect. Yeah, while it might seem pointless for some, it’s still an important factor. You wouldn’t want your kitchen to look less beautiful simply because of something you bought without consideration, right? Well, don’t you worry, even if you’re not that good at finding what matches your looks, we’ve got some models here that will suit all the kitchens out there- yours included! Finally, we also considered the durability of every model. We believe that durability is a really important factor for just any model, because it actually indirectly pays for itself. So that’s one of the things we’ve kept strictly in mind when making this list. Now, there were so many things to consider, as you just saw. You must understand that it wasn’t really easy. A lot of thought and research had to go into the making of this list, even aside from experimenting with them to write the reviews. So, all we can say is that a lot of hard work finally led us to our conclusions that we are presenting before you as a list. We hope that you find at least something new and informative in here. We also hope that you’d be able to get at least one step closer to finding the best model for yourself. Keep in mind that we’re here and we’re always on the lookout for opportunities to help you find the best model for yourself. At this point, your mind must have a lot of questions. I can assure you that it’s natural and, once again, as your host, it’s my responsibility and pleasure to answer any queries that you might have. However, since I can’t really ask you questions as I write this article, I’m going to leave the answers to the most commonly asked questions for now and I’m going to hope that you would reach out to me if you have any queries about anything. Once again, Gamble Bay Coffee is always here to help you find the best model for yourself. Hmm, it’s a really great question. But frankly speaking, the answer depends on you. Someone might just be making some morning coffee or even just some coffee for themselves randomly and may never intend to drink ten glasses of coffee in one sitting. For such a case, a small French press coffee maker is extremely useful and the simple fact that there are so many models out there selling so many such machines makes it clear that there is obviously demand for it in the market. Except the capacity/size, not really. The whole mechanism is the same; it’s only the size that’s different to suit some specific needs in some specific cases. Besides that, a French press is a French press and you might go for any of them. 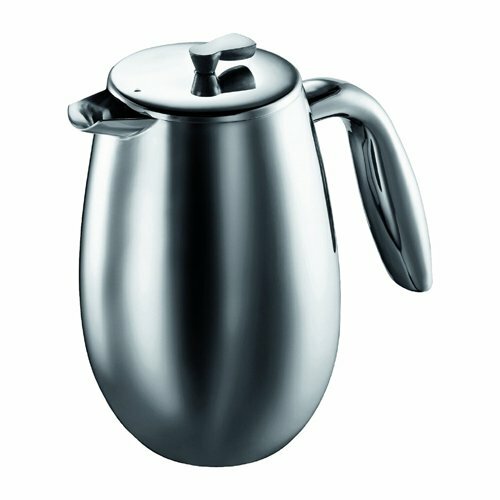 What is the best mini French press coffee maker? We just saw a whole list of machines, didn’t we? Well, as I already mentioned, the right one for you depends on your specific needs. So you’ll have to find it out by judging the model(s) according to your specific needs. However, the whole list of models available outside is so huge that it can be really confusing. That’s why we hope the options we’ve chosen help to make it easier for you to choose the best one for yourself! Is there sediment in the coffee I make with these machines? This is one of the questions I get asked a lot. Well, honestly speaking, some of them do have some sediment left since most of these machines have just one filter. However, that’s not the case with every single one of these machines. There are some machines such as the one from Espro which provide you with a dual filter just to remedy this problem. At the end of the day, you must not forget that you’re buying it for yourself and that all that you can find online are generalized suggestions. So there is obviously the need to judge for yourself before you go for any model. You must keep in mind that the best model for others out there might not be the best for you. The best model for you is the one that serves all your needs at the most affordable price. So, keep that in mind and judge every model according to your specific needs. Gamble Bay Coffee is here to always help you out with more information so that you can do it more easily. We hope that we’d be able to help you with finding the best model for yourself so that you can be proud of yourself and Gamble Bay Coffee!